The Classical Period: 1000 B.C.E. - 500 C.E. He was one of the most prolific and prominent composers of the classical period. He was also instrumental in the development of the piano trio and in the evolution of sonata form. A life-long resident of Austria, Haydn spent much of his career as a court musician for the wealthy Hungarian aristocratic Esterházy family on their remote estate. Isolated from other composers and trends in music until the later part of his long life, he was, as he put it, "forced to become original". At the time of his death, he was one of the most celebrated composers in Europe. Joseph Haydn was the brother of Michael Haydn, himself a highly regarded composer, and Johann Evangelist Haydn, a tenor. He was also a close friend of Wolfgang Amadeus Mozart and a teacher of Ludwig van Beethoven. *First emperor of Rome after defeating Mark Antony and Cleopatra, thus ending the Triumverate. *During his reign he expanded the empire to Egypt, Northern Spain, and throughout much of central Europe. *Augustus had ended 100 years of civil war and successfully set in place Pax Romana, internal peace in Rome for more than 40 years. He was the founder of the Qin dynasty and also the basis of many things. Shi Huangdi was a tyrant and he ran a very strict government. He was very powerful and he basically created the first form of government. Huangdi was very important because he built the Great Wall of China. He also created the first census and sought for standardization of many things. The Qin dynasty was responsible for some innovations in Chinese culture and politics. Although the Qin dynasty and Shi Huangdi were short-lived, they both impacted the world greatly. Ashoka the Great existed within the circles of the world 304 B.C.E. to 232 B.C.E., and reigned from 269 B.C.E. until his death, aged 72 in the Christopherian calendar. He was a great warrior, having slain a lion with a wooden rod in his adolescence. His fame as a fighter let him to be commanded to put down the rebellion of the province Taxshila, which surrendered without a fight. Due to his success, his ambitious stepbrothers, wary of being thwarted of the throne, sent him into exile, wherein he fell in love with a fisherwoman named Kaurwaki, who then became his third or second queen. Another rebellion in the place of Ujjain caused the Emperor to recall Ashoka from exile and send him to war, where he was maimed. That the enemy would not uncover his location and slay him, he was treated in secret by Buddhist monks and nuns, where he first learned of the Bhuddist teachings and met Devi, whom he married. Being married to a Bhuddist was not approved by the Emperor, so he was sent away back to Ujjain, away from the court, where he was made governor. Then he was made Emperor, and after reigning for 8 years he attacked Kalinga, a kingdom on the coast, because it had sheltered one of his stepbrothers, it could have imposed economic ruin on his empire had it blockaded the coasts, and they were deemed the natural enemies of the Maurya power. Ashoka thus sent one of his generals with an army to conquer the Kalinga people, but this army was routed by a skillful leader if Kalinga. Ashoka then led the largest attacking force in Indian history to make his foes submit to his power, which they did. though victorious, Ashoka was horrified my the bloodshed that he personally saw, he decreed that he would never again wage a war, and converted to Bhuddism. The new Ashoka became thus a changed man. 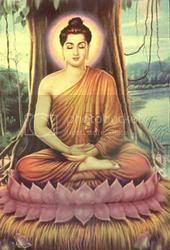 He made Bhuddism the state religion at 260 B.C.E., the first ruler to do so. He preached nonviolence, built universities, water transit systems, roads, and animal hospitals, though he allowed limited consumption of said kelvar. He relaxed prison policy, as he banned the death scentence made peace with the relatively weak kingdoms surrounding him, and treated all of his subjects equally, be they of the UNTOUCHABLES caste or not, and banned hunting, fishing, deforestation, and slavery. He also allowed women to be educated. Finally the British historian H.G. Wells has written: "Amidst the tens of thousands of names of monarchs that crowd the columns of history … the name of Asoka shines, and shines almost alone, a star." *In 322 B.C.E., in India during the end of the Epic Age until the 4th century, a young solider named Chandragupta Mauyra, seized power along the Ganges River. *This all started when Alexander the Great, pushed his power Northwest in to India, establishing a small border state called Bactria. *Chandragupta became the first of the Mauyran dynasty of Indian rulers, who unify much of the entire subcontinent. *The Mauyran Dynasty borrowed directly from Persian political models or the example of Alexander the Great. He managed to keep a big army with thousands of chariots, elephant bourne troops. His style of government was autocratic, which is absolute ruler. This style would periodically surface in Indian history. • AKA the Messiah, God’s Son, etc. After his disciples began to spread the words of his teachings. Confucius was born in 551 B.C.E in what is now the Shandong Province of China. He was a philosopher and a social thinker. He was the founder of Confucianism. His teachings emphasized morality of people and of the government, manners, and gender roles. His ideas and thoughts were compiled and developed into Confucianism. Though Confucianism seems like a religion, and is sometimes treated like one, it is not. During the Han Dynasty, Confucianism became more popular than its two main competitors, Legalism and Taoism, and became the state religion. Caligula was a roman emperor born on August 31, 12. He was crowned 3rd emperor of Rome on March 16, 37. Caligula really loved his horse, Incitatus. He gave Incitatus a stable made of marble, a ivory manger, purple robes*, (*some sources claim they were blankets.) and a collar of precious stones. Caligula made sure his horse's diet consisted gold laced oats as well as various meats which included; mice, squid, chicken, and mussels. 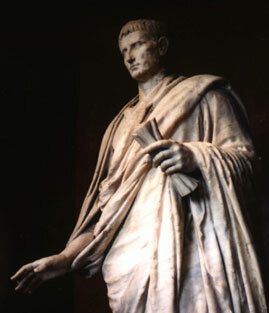 Caligula even tried to make Incitatus a member of the senate. On January 24, 41, Caligula was murdered by the Praetorian Guard, which were his bodyguards. Buddha was born in the sixth century. Son of a local ruler of a tribe near the Himalayas. Found enlightenment under a bo tree. Thought you could only acheive enlightenment by abandoning all desires of earthly things. Creator of a major Indian and Asian religion. was the Greek king of Macedonia who established one of the largest empires in history. He was king from 356 BCE until his death in 323 in Babylon. While his empire flourished, Hellenistic culture and the Greek language were spread as far as India and Egypt. Until he was 16, he was tutored by the great philosopher, Aristotle. Alexander died in the palace of Nebuchadnezzar II, in Babylon at the age of 32 in June of 323. His actual cause of death is not exactly known, although it is theorized that he died of malaria or typhoid fever. Based on explaining to leaders what methods would and would not work in maintaining a strong grasp on their nation. It was similar to the Legalists in China. He basically believed in the scientific application of warfare rather than just going in all forcefully and what not. The advice that Kautilya gave to both Chandragupta and other leaders could've been very beneficial in helping expand and create future empires.Unfortunately his thought process was not spread widely throughout the political world, instead the Confucianism thought process took hold. The Guptas was a dynasty that succeded the Kushans in the third century CE. The empire was established in 320 CE. They built an empire that was extended to all the regions except for the southern region of the Indian sub-continent. Guptas were less centralized then the Mauryan Empire. The Guptas didnt have influential individuals like the Mauryan Empire. But the Guptas did make a greater impact. The Gupatas claimed to have been appointed by the gods to rule. They favored Hinduism over Buddhism. They created a demanding taxation system, which took up a sixth of all agriculture produce. The Guptas didnt havean extensive bureaucracy, they instead allowed local rulersbwhom they had defeated to maintain regional control. They called this the "Gupta dominance." The language for the educated was Sanskirt. The Guptas did spread uniform law codes. For all of their achievments the Gupta period was allowed in the Golden Age of Indian history. Up until Cyrus (Persian), no culture had ever really thought of conquering the world. Territorial conquests were justified on religious grounds, but these religious grounds never caused the notion that it was a religious duty to conquer the world. But by 554 BC, Cyrus had conquered all of Persia and defeated the Medes for control of the region. He soon conquered Babylon in 539 and by the time he died in 529 BC, he had conquered a vast territory. Although the the Persian imperial government was shaky, the conquests continued after Cyrus's death. His son, Cambyses, conquered Egypt in 525, but the Chaldeans revolted in Mesopotamia and the Medes revolted east of the Tigris. Pan Chao was a well-educated woman who served unofficially as an imperial historian to Emperor Ho and an instructor in history, classical writing, astronomy and mathematics to Empress Teng and her ladies-in-waiting. Pan Chao was determined to finish Ku’s, her deceased brother’s books (Han Shu). Due to her great educational background, Chao was successful in overcoming restraints on women. Chao ascribed her knowledge from her scholarly parents. Pan Chao is well known for her numerous written literary works. Some of her works include, commemorative verses, narrative poems, eulogies and the most well known Lessons for Women. This piece of literature was the first literature written for women. Lessons for Women shows women insight of Chinese perceptions of the “ideal” women and first-century Chinese costums. The book gives women advice on customs and manners for women. Pan Chao’s Lessons for Women was the most successful advice book for women in Chinese history. It gave women a stronger stand. It was still being used through the 19th century. Jesus of Nazareth ( 5 BCE – 30 CE), also known as Jesus Christ or Jesus, is believed to be the son of God , by Christians, who came down to earth to redeem human sin. Jesus preached widely in Israel and gathered a group of disciples and other followers. Later Jesus was crucified being accused by others religious figures. Jesus is usually accredited with founding the Christian religion, but this is not the case. It was only after Jesus was crucified that his disciples began to spread the words of his teachings. The caste position and career determined by a person’s birth; Hindu culture required that one accepted one’s social position and perform occupation to the best of one’s ability in order to have a better situation in the next life. 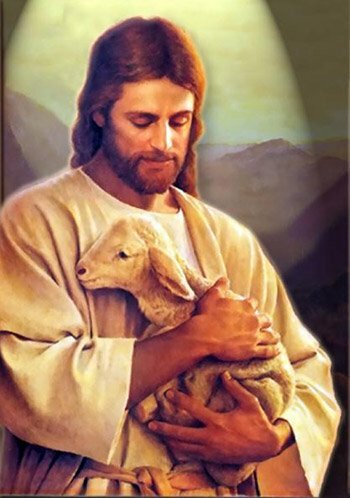 Jesus of Nazareth Is the god of Christian believers. They believed that he was the son of God and that he was sent by his father to the earth to redeem human sin. He preached mostly in Israel and he surrounded himself deciples and followers. He was crusified in the early Common Era. In China during the classical period there was alot of chaos but out of this chaos came three "religions" legalism, confucianism, and doaism. They all were more of philisophical though do to the fact that they reckonigizing any deity. Legalism was a belief of that all humans were evil and so more punishment and harsh laws were needed. Confucianism was more a philisophical thing that belived that the goverment should be ruled by educated men, and doaism was more of a religion out of any. The philosophies of Doaism was more into the praise of the spirits of everything. Philosophy Had a great impact on classical Greece and Rome, captivating the curious population. Possibly most influential were Aristotle, Cicero, Socrates, and Plato. These varying philosophical ideals were influential to Greek and Roman society in the arts, literature, and politics. The Latin Language Was the main language in and around the Mediterranean area for a large majority of the Classical period. It was first invented by the Latins of central Italy and then adopted by the Romans somewhere around their emergence (approximately 750 BCE). When the Romans expanded their control, their language grew as well. So when the Romans reached their peak in 117 AD under the rule of the Emperor Trajan, the language was as large as it was ever to get. From then on, it began to be less used, mostly due to the fact that the Roman Empire had been eaten away by outsiders and also by internal strife. In our time, Latin is a dead language but is still studied (and used in a few small places) for various reasons. One of the reasons is that it contains roots in English, French, German, Spanish, and many other languages. It is also used in Vatican City. The ancient Indic language, Sanskrit, that is the language of Hinduism, The Vedas and is the classical literary language of India. Also a holy language in the eyes of the Indians. 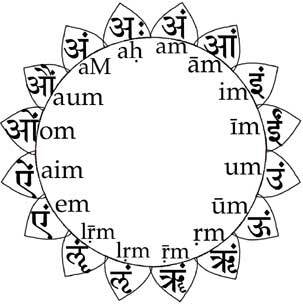 Like Latin in Europe and elsewhere, Sanskrit has been used by the educated classes in India for literary and religious purposes for over two thousand years. It achieved this status partly through a standardization that resulted from a long tradition of theory and analysis. In addition the Gupta Empire used the language for the educated people of their emperor. Legalism, A Classical Chinese philosphy established during the Qin dynasty, emphasized the need for order above all other concerns. Legalism was a strictly political philosophy that did not address questions like the purpose of life. Legalists believed that at the core, all humans were inherently evil, and needed a strict code of law and a strong government to enforce these laws. They believed that the government should harshly punish even the most minor of infractions. Legalism declined in later dynasties, but some observers of Chinese politics believe that Legalism has merged with Confucianism and still plays a major role in the Chinese government. Another Chinese philoshy during the Qin dynasty, focused more on family dignity and rightiousness of human beings. The ability we all have to do good. Most agricultural civilizations downgraded the status and potential of women, at least according to modern Western standards and to the implicit standards of hunting-and-gathering societies. Agricultural civilizations were characteristically patriarchal; that is, they were run by men and based on the assumption that men directed political, economic, and cultural life. As agricultural civilizations developed over time, the status of women declined from its initial level. Individual families were normally set with the husband and father determining basic conditions and making the key decisions, and women were humble and obedient to the male authority. Patriarchal family structure was based on men's control of most or all property, starting with the land itself. Marriage was based on property relationships and it was assumed that marriage, and therefore an aide to men, was the normal condition for the vast majority of women. After marrying, a woman usually moved to the orbit, and often the residence, of her husband's family. There are four Vedas, the Rig Veda, Sama Veda, Yajur Veda and Atharva Veda. The Vedas are the primary texts of Hinduism. They also had a vast influence on Buddhism, Jainism, and Sikhism. Traditionally the text of the Vedas was coeval with the universe. Scholars have determined that the Rig Veda, the oldest of the four Vedas, was composed about 1500 B.C., and codified about 600 B.C. It is unknown when it was finally committed to writing, but this probably was at some point after 300 B.C. They contain hymns, incantations, and rituals from ancient India. Along with the Book of the Dead, the Enuma Elish, the I Ching, and the Avesta, they are among the most ancient religious texts still in existence. Besides their spiritual value, they also give a unique view of everyday life in India four thousand years ago. The Vedas are also the most ancient extensive texts in an Indo-European language, and as such are invaluable in the study of comparative linguistics. The Untouchables-which consisted of those who did terrible jobs such as hauling trash and dead bodies. People were born into a specific class and rarely changed. Marriage between classes was forbidden and punishable by death. Creating such a strictly enforced system and a country with extreme social structure created a clear distinction between people. Social structure became a very important part of society, not only in India. In 6th century B.C., a philosopher named Laozi created Daoism, or Taoism; a religion that helped form China in many ways. Believers of Daoism, often called Daoists or Taoists, were driven to be one with Dao, or one with the "way". They believe that Daoism is the truth to the universe, and that life is happy and pure, but should be lived with virtue and balance. It focuses purely on naturalistic ideals, instead of being politically based like Legalism and Confucianism were. Daoism didn't flourish until hundreds of years later around 100 A.D when Zhang Daoling founded a sect of Daoism known as the Way of the Celestial Matters. Him and his successors helped spread aspects of Daoism. There are still followers of Daoism today as well as temples and schools dedicated to the religion. In about 4 c.e., a man named Jesus was born and would soon change the state Pagan beliefs of the Roman Empire into a monotheistic empire. He had twelve disciples, Peter, Andrew, James, John, Philip, Bartholomew, Thomas, Matthew, James son of Alphaeus, Thaddeus, Simon and Judas, who continued Jesus' legacy when he was crucified for spreading the news of Christianity. Fifty days after Jesus' death, God sent the Holy Spirit which guided them to create the first church in the history of Christianity. They were able to teach and gain many supporters through the hardships and oppression from the Roman Empire. Many of the citizens of the Roman Empire converted to Christianity because it offered life after death through God himself. Christianity soon spread through out the Roman Empire. Today Christianity is the number one followed religion in the world with over 2 billion followers. The Olympic games originated in Olympia. The Olympic games started in 776 to 772 B.C and ended in 393 or 394 A.D. They were held in Olympia because it was one of the oldest religious centers in the Ancient Greek world. Since athletic contests were one way that the Ancient Greeks honored their gods, they thought it would be a good idea to hold the games at the site of a major temple. The Olympic games were open to any free-born Greek in the world. They separated the men from the boys for the events. Women were not allowed to compete in the Olympic games. Athletics were a big part of education in ancient Greece.Greeks thought that developing the body was just important as improving the mind. Some men competed naked which was normal back then. If they won a competition, in replacement for money, they got a crown made of olive leaves. Unlike the modern day Olympics, judges didn't come from all around the world, they were drawn from Elis, the local region which included Olympia. If the competors cheated, they were fined by the judges and the money was used to set up statues of Zeus, the patron god of the Olympic games. Throughout history, there have been a lot of mistakes and utter failiures. For example, in 30, the Romans crucified Jesus and they were all; "Well, that's the last of him! Those pesky "followers of the son of god" will just disband and leave us alone." Boy, were they wrong! Christianity is now the world's most popular religion with 2 million strong. The mythology worshipped by the Romans are now thought of simply as stories and cease to be followed in Modern society. Jesus-1 Romans-0. Greece and Rome featured an important variety of political forms. They both tended to emphasize some aristocratic rule but there was significant examples of democratic elements also. Politics was very important to classical Greeks and Romans and offer similarities to Confucian values, but the variety of political forms is also close to India. There was no single Greek political style, but democracy is the most famous. Classical Mediterranean political theory involved ethics, duties of citizens, and skills. Governments supported an official religion, but tolerance of other faiths was normal. The exception, Christianity under the Roman Empire, occurred because Christians refused to place state first in their devotion. The greatest political legacies of the Mediterranean cultures were an intense loyalty to the state, a preference for aristocratic rule, and the development of one set of legal principles. The Zhou Dynasty lasted from1029 to 258 B.C.E. Its decline came from the political infrastructure and frequent invasions by nomadic peoples from border regions. Even though it was very strong, it did not corporate a strong government, but instead through alliances with regional princes and noble families.It came to China from the North displacing its predecessor, the Shang rulers. The Han Dynasty retained the centralized government of Qin Dynasty. The government was approved thanks to formal training. There became a creation of a bureaucracy during the Han Dynasty. The Han Dynasty perfected the bureaucracy. It required leaders to take a civil service test. And many from the lower class became bureaucrats. Confucianism was promoted throughout China. It was not a religion. China had a strict and tight family life. The structure itself was tight. It emphasised obedience to parents and wives' obedience to husbands. It was also because the leaders of the family had to behave respectfully. The system of Chinese family life was not resisted because popular culture emphasized the family as the key to controlling one's emotions, which was highly valued. * Lasted from 330 A.D. until 1453. * The Western Empire collapsed in 476. * After the fall of the Western Empire, the Eastern Empire becomes the Byzantine Empire. * During his reign the Hagia Sophia is created. * In 568, the Lombards invaded Italy, eventually taking it from the Byzantines. * In 610, Heraclius became emperor. * In 693 the Muslims attack Constantinople directly; they fail to capture it. * Basil II reconquers land during his reign (976-1025). * Reduced to just the city of Constantinople by 1261. * Became a mousque in 1453 when Constantinople fell to the Ottoman Empire. * Renamed Istanbul by the Muslims. Pericles paid artists and architects to beautify the city of Athens. One of the things he had built was the Parthenon that was supposedly dedicated to the goddess, Athena. Because of his wanting for conquering, he caused many wars with Sparta including the Peloponnesian War. Clasical Greek religion is one of the most extensive rleligion of the western world. THe following list is a listing of several, not all, of the Greek gods. With the Greeks, there is no heaven. The only afterlife area is Hades. Acording to Greek mythology, in order to reach the underworld, you must travel the river Styx, which circles the earth nine times, steadily going down. When reaching the gate, you must pass Cerberus, the three-headed dog, who will devour anyone wo isn't dead. After passing Cerberus, there are several areas people are sent to. The closest to a "Heaven" that the Greeks had was an area that only the best and most righteous people went, and still in Hades. The next area is the neutral area, where the majority of people go. This area is simply serving in Hades' palace. The last and most undesireable area is Tartarus. Encircled by a fence of bronze and the river of fire, Pyriphlegathon, onl the worst of the worst people were sent here. Names like Ixion, Pirithous, Tantalus, and Sisyphus are the most famous of these damned people. The extreme religious customs and bleak afterlife are what proably made this religion die off before the year of 1000 C.E. Indian civilzation was deeply influences by geography and climate. Ceturies of aryan invasion and consolidation laid the foundation of classical indian civilation. India's distinctive culture was born of its geography and early historical experience. Indian was much closer to orbit of other civilization than China did. They had trading contacts with China this developed late in the classical period but had little impact, China was more affected. India was frequently open to influences from the middle east and even the Mediterrean world. Persian empires would constantly spill over into India.and they would bring new artistic styles and political concepts. Soon Alexander the Great invaded India, and while he did not establish a durable empire, he made possible important Indian contacts with Hellenistic culture. Soon periodic influence from the Middle East continued after the classical age. This forced India to react and adapt in ways that even China tried to avoid and did avoid because it was more isolated. THE MOST AWESOME CITY EVER! Why was Carthage the most awesome city ever? First they fought Rome in the Punic Wars and actually put up a good fight. The city was in Phoenicia on the northern coast of Africa. Carthage had a great military lead by the brillliant general HANNIBAL! HE WAS AWESOME! He was a brilliant Carthaginian general and he put up a bitter war with the Romans. What made this city the most awesome? The troops were accompanied by pack-laden elephants. Unfortunately the Romans won and Carthage was destroyed. Poor Carthagin. One of the greatest wonders of the world is the Great Wall of China, it was built over 2,000 years ago by the first emperor of China, Shi Huangdi during the Qin Dynasty. Shi Huangdi built the Great Wall to guard against outside invasions and to protect his expansionist drives. The Great Wall extends over 3000 miles, this wall as far as we know, is the largest construction project in human history. It was built by forced labor, conscripted by the central bureaucracy from among the peasantry, to stop the invading Barbarians from the north.